Hello world, from the organisers of CompCon 2015! CompCon is a national computer and technology conference run by students, for students! If you’re studying Computer Science, Software Engineering, Information Technology, or anything in between, join us at the University of Queensland in Brisbane from 3-5 October. You’ll get to hear talks on all things computing, hack on code, meet with computing students from across Australia, and talk with representatives from top technology companies. Registrations are now open, with discounted Early Bird tickets available until August 16. Also, subscribe to our newsletter to get all the latest updates! 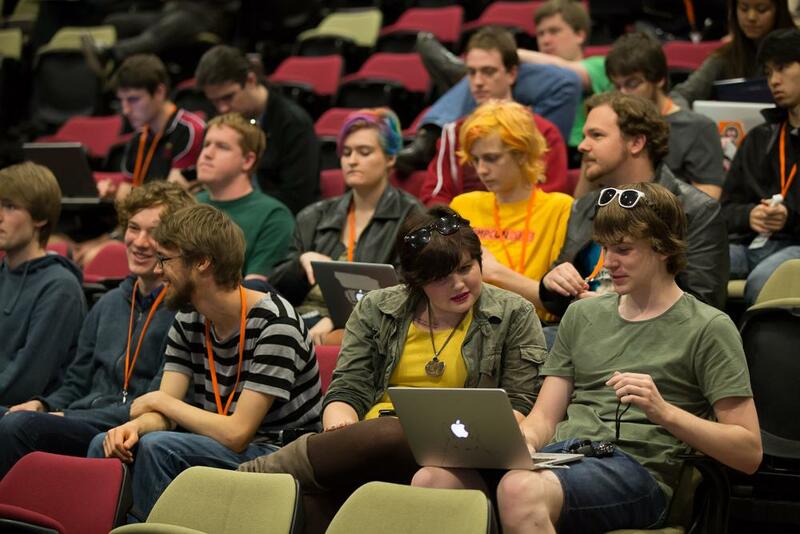 Following on from CompCon 2015 last year, we're very proud to announce that CompCon will be back in Brisbane again this year, hosted at the University of Queensland from 1-3 October! The Call for Papers and delegate registration will be opening in the next few days. If you want to keep up with further announcements about CompCon 2016, head to our website at https://compcon.net.au and subscribe to the CompCon 2016 announcements mailing list! A limited number of tickets will be available at the door starting at 8am tomorrow, on a first come first served basis. There will be a limited number of t-shirts and conference dinner tickets also available for purchase. We cannot guarantee the availability of merchandise to people purchasing at the door. Been putting off your CompCon 2015 registration? Buy your ticket now and enjoy a $5 discount - this weekend only! Simply head to http://compcon2015.eventbrite.com.au, click "Regular Ticket" and order a "Weekend Special" ticket. For more updates on CompCon, head to our Facebook page at https://www.facebook.com/compconaustralia. CompCon 2015 Super Early Bird ticket sales are now live! Tickets are available at the discounted rate of $40 until 16 August. Find tickets on our Eventbrite page. The Call for Presentations for CompCon 2015 is now open until 31 August. If you've got something you'd love to speak about or show off at CompCon, check out the CFP page for more information! Students - including undergraduate/honours students and PhD candidates - are particularly encouraged to apply! Limited travel funding is available to assist speakers in getting to Brisbane - please contact us for more details. Read more about Call for Presentations now open! CompCon Incorporated and UQ Robotics have announced that CompCon 2015, a national conference for students in computer science and information technology disciplines, will be held at the University of Queensland from 3-5 October.